In this English podcast about driving, we tell you all about our experiences in Canada. You will hear us talk our experiences behind the wheel of a car and about everything from what you have to do to get your driver’s license to following the rules of the road if you don’t want a ticket from the police. Getting a driver’s license and having the freedom to go where you want, when you want is an exciting time. But first, you need to get your license. Hear about what it’s like to get a driver’s license in Canada for the first time and also some of the rules of the road in this English podcast lesson. We also discuss some of the funny situations that have happened to us on the road, tickets that we got from the police and other things you should never do while you are driving! 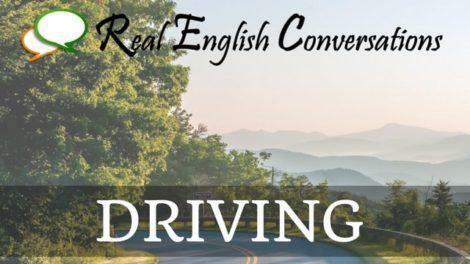 Join our email list to get updates when we publish new podcasts or create new lessons for you at Real English Conversations!